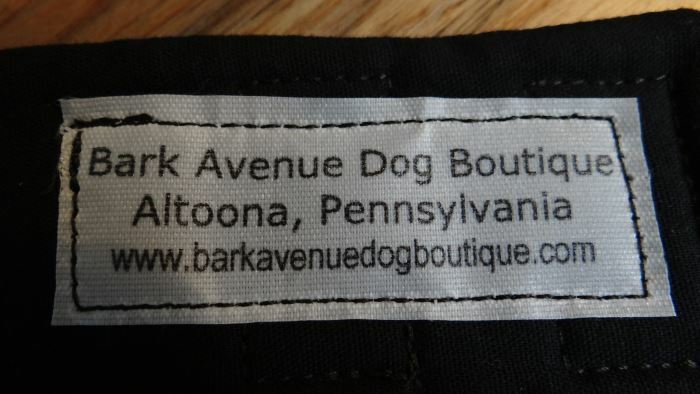 This unusual Pittsburgh Penguins Jersey Dog Dress in Size Small was designed by Bark Avenue Dog Boutique for the little girl puppy. 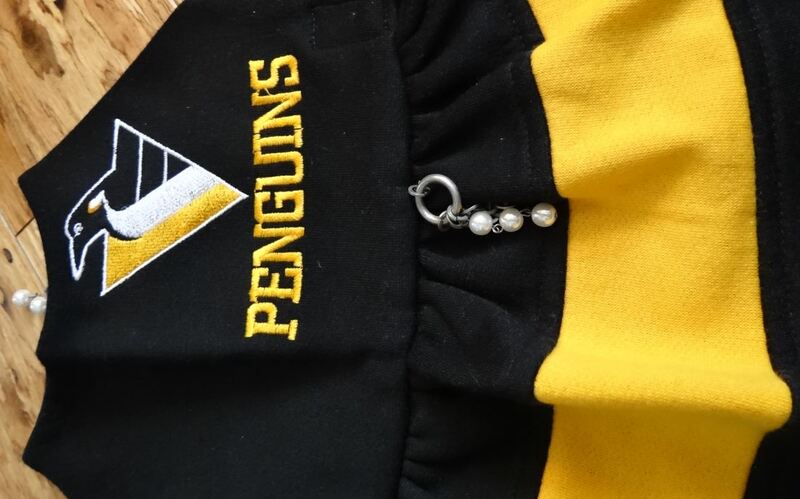 Dress her in style for the Penguin game season. 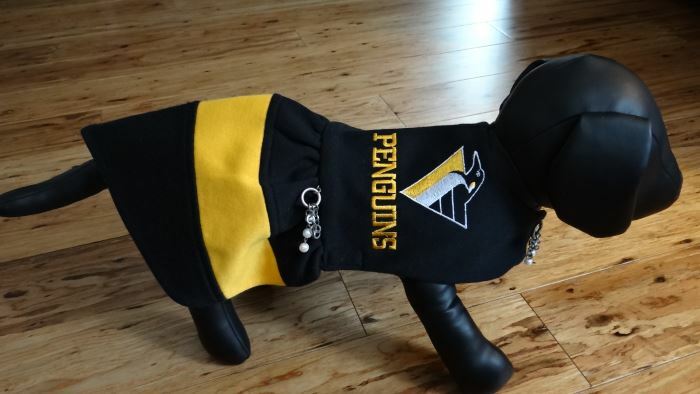 This Pittsburgh Penguins Jersey Dog Dress is a one of a kind original dress and you will never see another one like it anywhere. 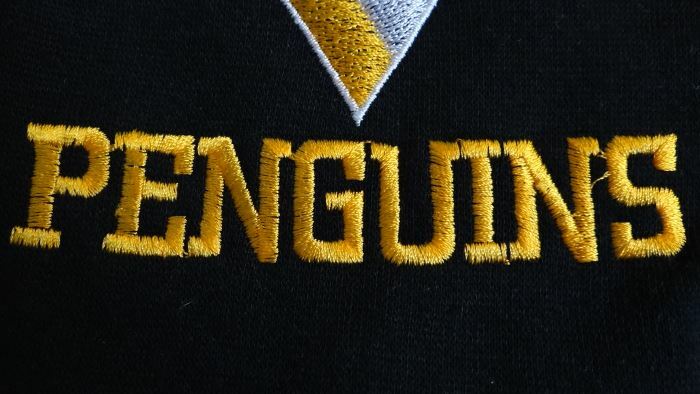 This dress was made and designed from a Penguin sweatshirt. 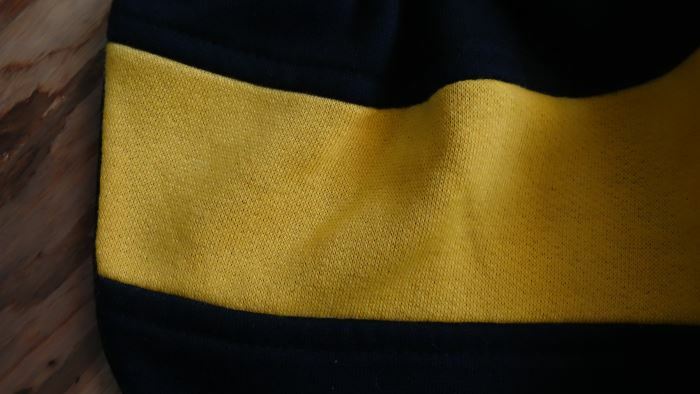 The jersey is black with a bright 2 ¼” gold band which now runs through the skirt. 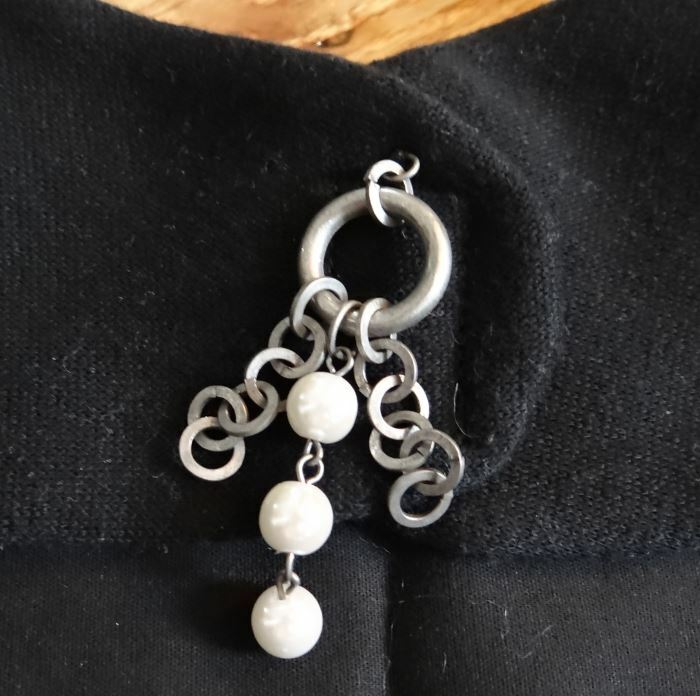 The dress is designed to have a waist for your puppy which is embellished with a pewter chain and pearls hanging from a small pewter ring. The same embellishment is at the front neck of the dress. 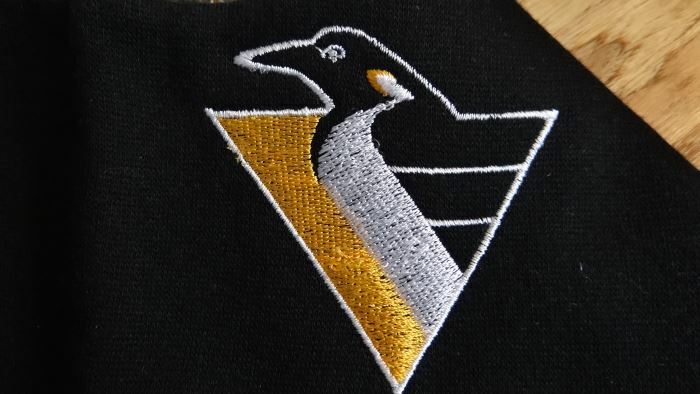 “PENGUINS” and the Penguins Logo is machine stitched on the back of the dress. The dress is fully lined with a black cotton polyester fabric. The dress goes into a vee along the hemline. 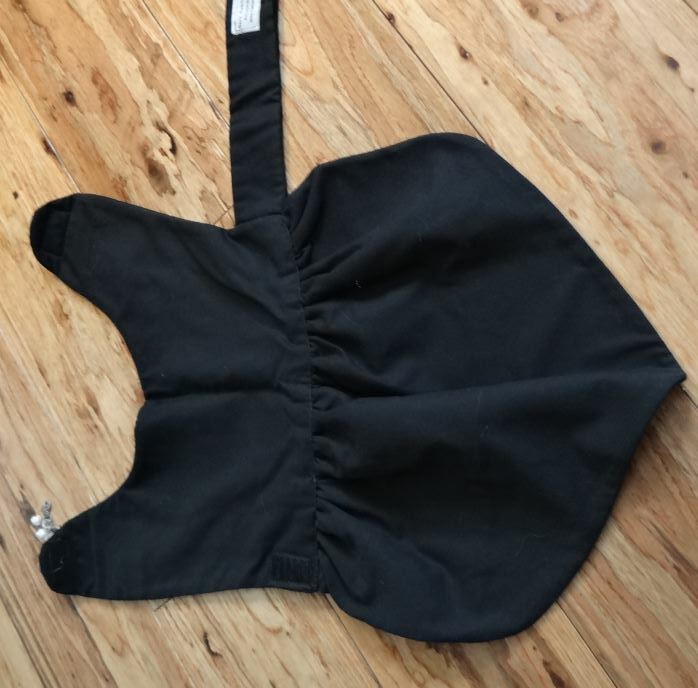 The dress measures 12” around the neck, 15” from the back of the neck to the hemline and 16”-17” around the adjustable tummy. Machine wash tumble dry on medium setting.